Steep Cosmopolitan, Fruit Tea and a handful of raspberries in vodka overnight. Drain and keep the vodka and raspberries for your drinks. Rim your martini glass with a lime wedge and white sugar. 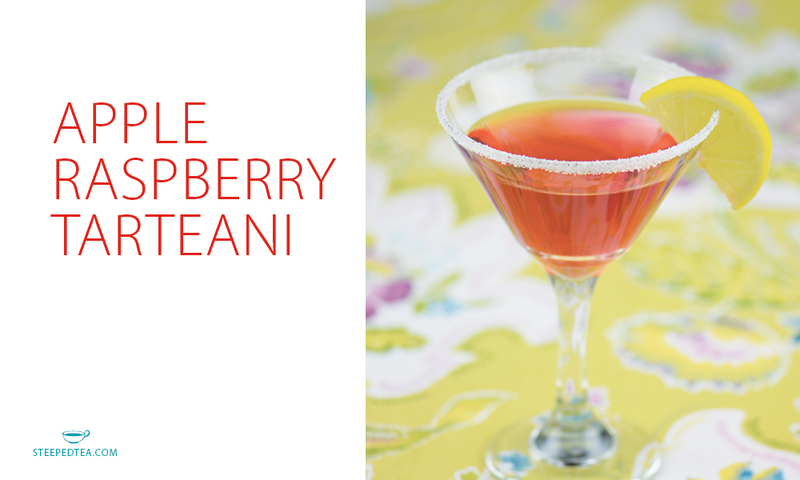 Mix tea-infused vodka and cranberry & raspberry juice together, pour into glass.